It seemed apt that Giorgio Armani, such a stalwart of the red carpet, should present his autumn/winter collection at Milan fashion week the Monday morning after the Oscars. The dresses worn for Sunday night’s ceremony – including Cate Blanchett’s aqua-coloured Armani Privé gown – have been hung back in the wardrobe, but awards-season dressing requires careful forward planning. Smart red-carpet players are already shopping for the next one. Prospective red-carpet customers had to wait with this collection. The first thing of note was that Armani was catering to the vast majority of the women who buy his clothes: professionals, some of whom grew up in the 80s when the designer revolutionised workwear by adapting the men’s suit to womenswear. More than half of this show had outfits with trousers and a concession to the loosening-up of dress codes was implicit. Suits were in the minority here. Instead, most outfits were contrasting jacket and trousers – with many variations on the combination of black velvet trousers and pink tweed jacket. There were also jogging pants, worn with blazers, in a very Armani nod to trends such as athleisure. More garden party than office were a selection of suits and some dresses printed with pastel flowers with the blur of a watercolour. Missteps came in clashing floral prints on a harlequin-ish jacket, but the cropped bootcut velvet trousers were the exact shape currently preferred in the front row. When the eveningwear section of the show came, it was also heavy on the velvet. The dresses were all black, combining the transparent effect you get with deep black velvet to dramatic effect. A long dress with an exaggerated V neckline and embroidery on the bodice looked straight out of Blanchett’s wardrobe, while a sweet, strapless A-line tulle design with big velvet polka dots would work for another of Armani’s other celebrity clients, Rihanna. Catwalk debut over, the red carpet beckons for these dresses. Last year marked 40 years of Armani, an anniversary that the designer celebrated with a coffee table book and a press conference. The show notes on Monday said this collection “looks at reality with a new eye”, a “mandatory” notion for the designer. How long the brand can keep doing that is unknown, but 40 years is pretty good going by anyone’s standards. Now 81, Armani has made it clear that retirement is not happening any time soon, and the search for a successor is not on the horizon. The designer remains the elder statesman of Italian fashion. 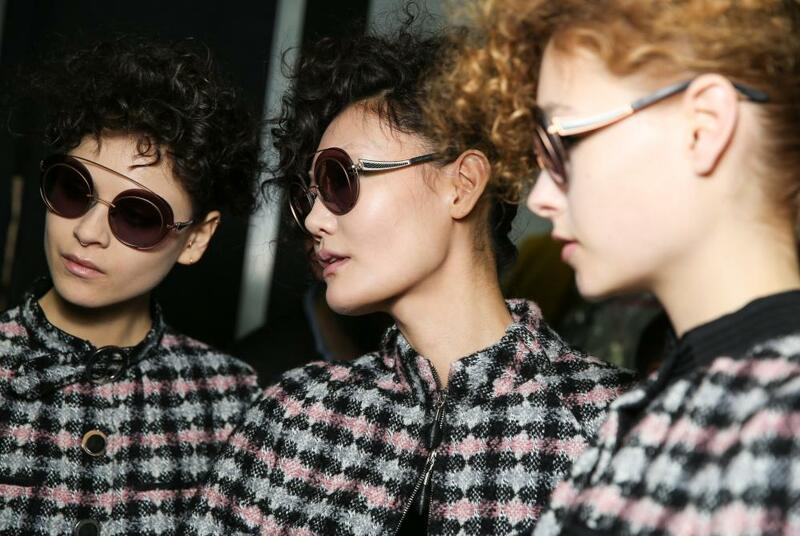 Armani, which is Italy’s biggest luxury brand after Prada, was one of the first western brands to expand into China – with 150 stores there, and a Chinese version of the website. Its profits have been affected by the country’s recent slowdown. While 2014 saw a 16% growth in profits, largely due to expansion in the region, 2015’s figures reflect the newer climate. The fashion crowd will now travel to Paris, where the shows begin today.